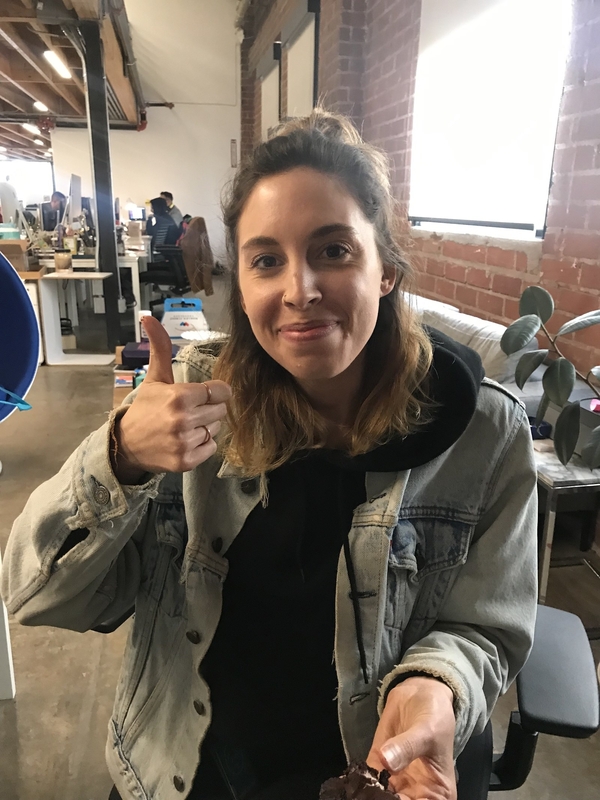 Hi, we’re Pablo, Lara, and Crystal and we love trying new, weird, and unique foods! And today we’re trying some vegan allergen-free desserts. 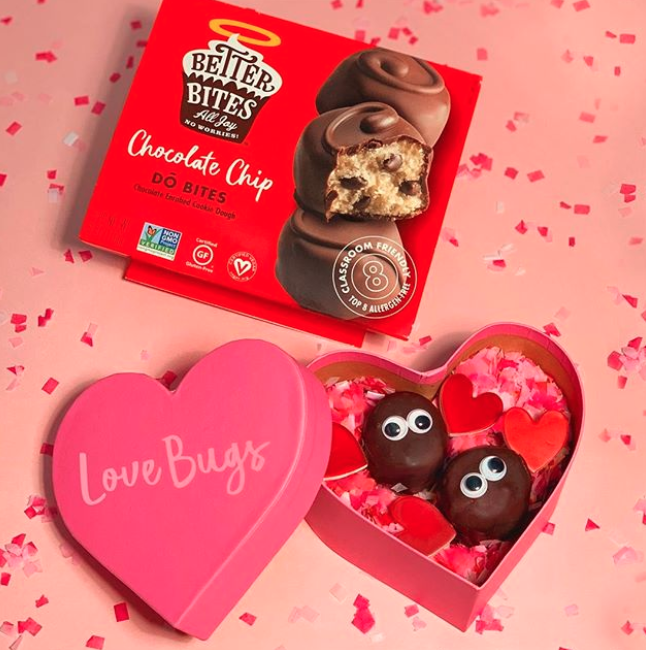 And when we say allergen-free, we’re not joking. 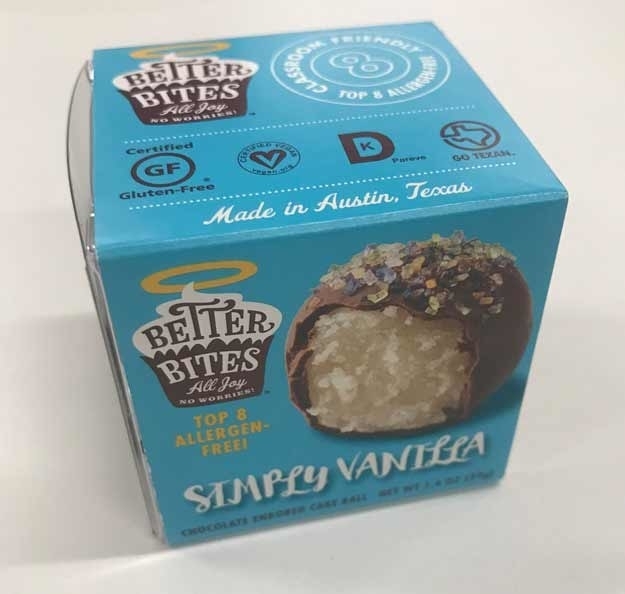 These vegan treats from Better Bites Bakery have NO DAIRY, EGGS, GLUTEN, SOY, PEANUTS, TREE NUTS, FISH, or SHELLFISH. 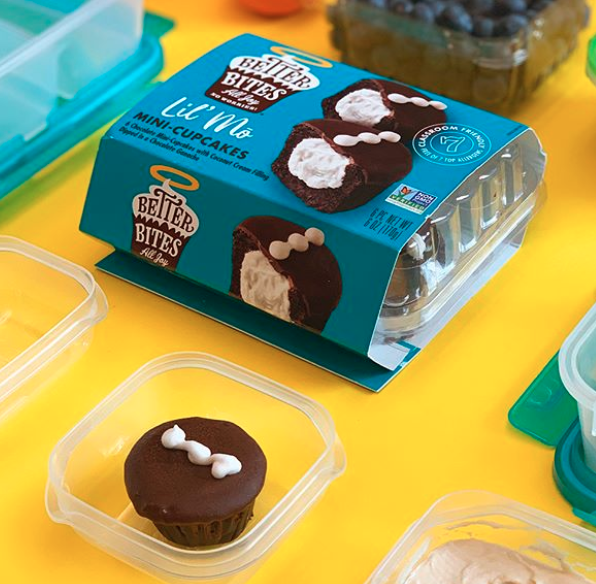 They’re certified Gluten-Free, Vegan, Non-GMO, and classroom friendly! You can get them in the bakery section at stores across the country like Whole Foods, H-E-B, and Central Market. To find your nearest location go here. 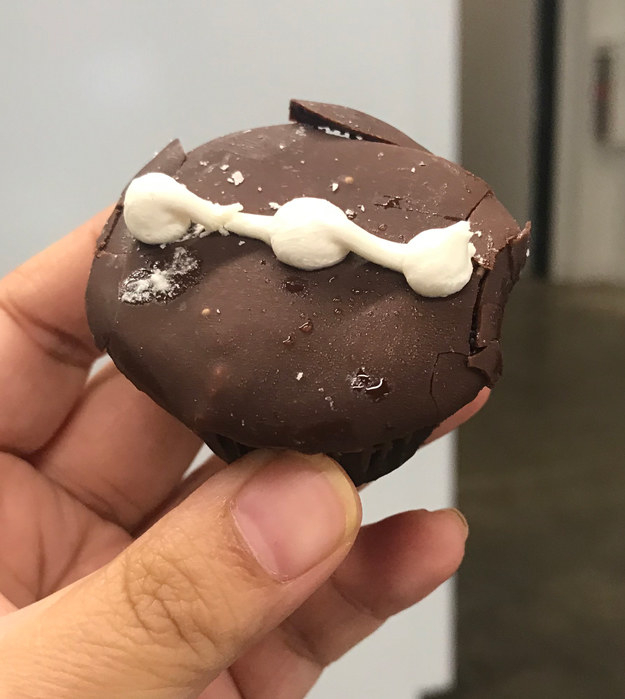 What is it: This vegan chocolate cupcake is filled with coconut cream and dipped in chocolate ganache. Pablo: At first glance these reminded me of those Hostess Cupcakes, and TBH they’re a good substitute for them. 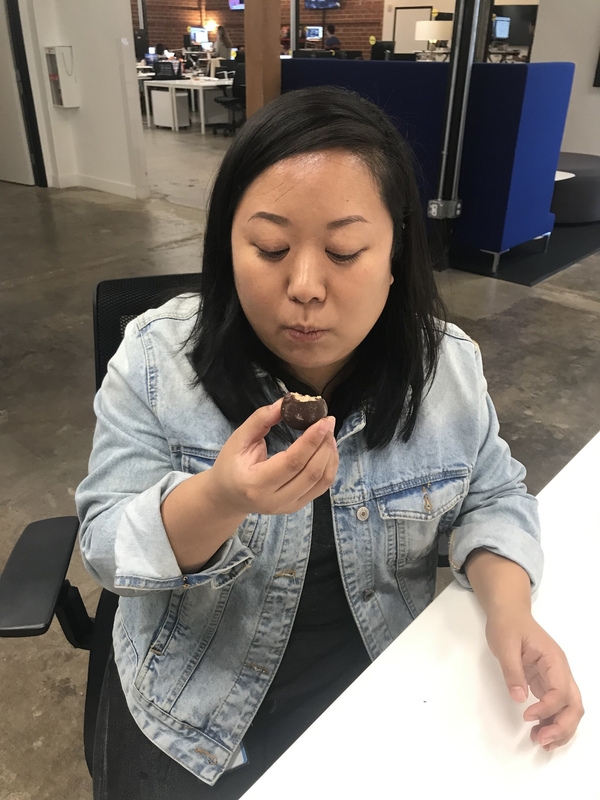 I can’t say I was a huge fan of the crumbly texture, but the chocolate taste was spot on. They’re also small enough to not make you feel like there’s a brick of chocolate in your stomach. 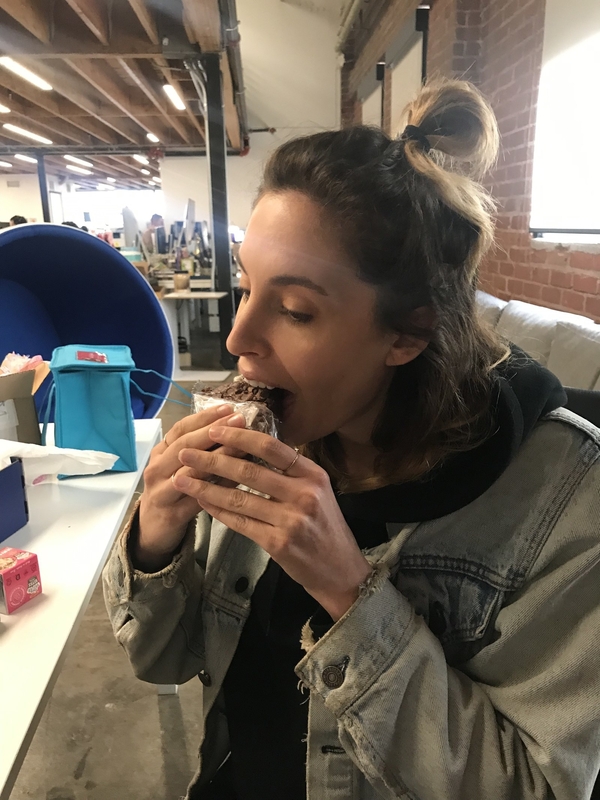 Lara: The mini cupcake was good as hell. 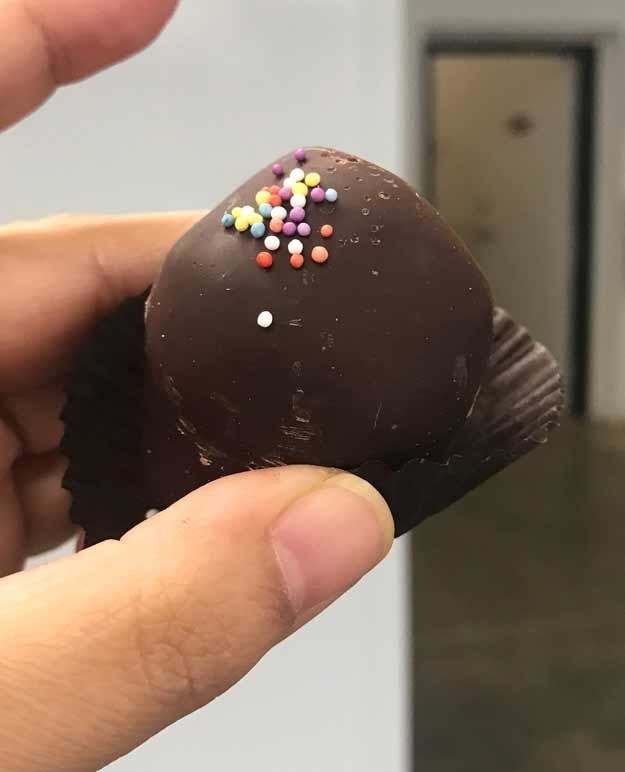 I would 100% eat this again because it wasn’t too sweet, tasted delicious, and was the perfect size so that I didn’t end up with a massive stomachache afterwards. 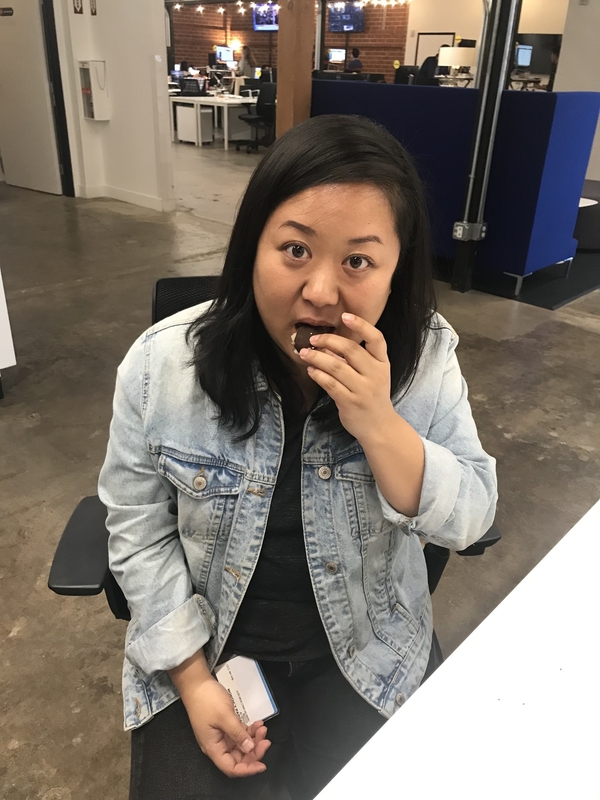 Crystal: I’m a big fan of Hostess Cupcakes, so was excited to try these. The cake is definitely a little more spongey than a normal cupcake, but flavor-wise these are the perfect balance of chocolate-y, creamy, goodness! Honestly, shocked these don’t have any dairy, gluten, and all those other things. Pablo: God is REAL. I would absolutely buy these again, even if I’m privileged enough to not have any food allergies (that I know of.) 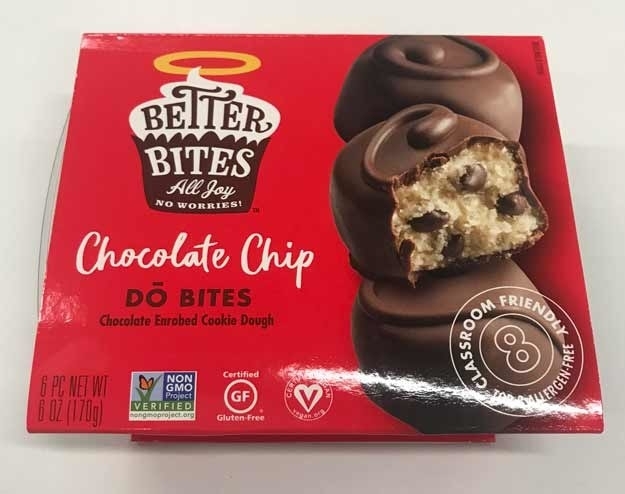 These are soo rich and don’t come with the added salmonella you usually get with cookie dough, which is always a plus in my book. 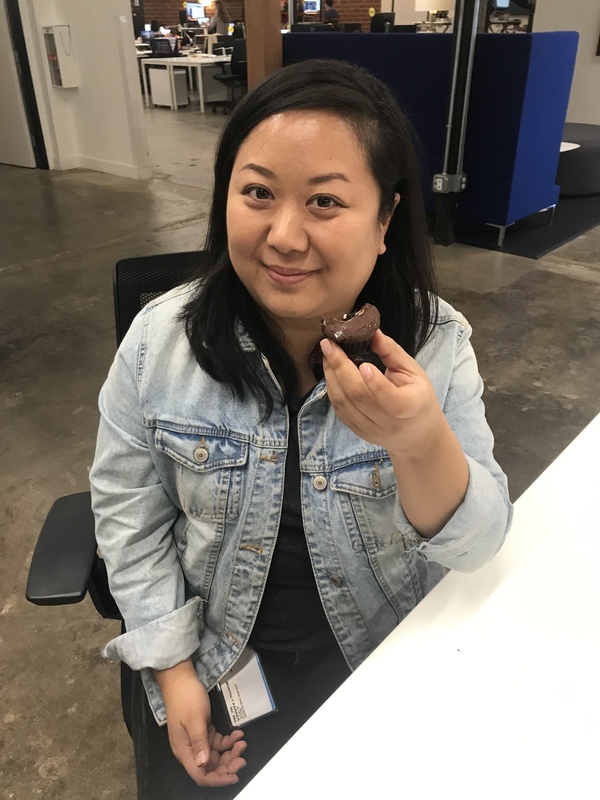 Lara: The DO bites were very good, but EXTREMELY sweet to the point where I didn’t even want to eat the entire thing. And I’m on my period, so that’s saying something. Crystal: I’m not a huge cookie dough person as it is (I can hear you groaning), but this tasted pretty damn good! It’s maybe a little too sweet for my taste, but the consistency and texture didn’t seem weird or anything. If you didn’t tell me these were allergen-free I’d have no idea. 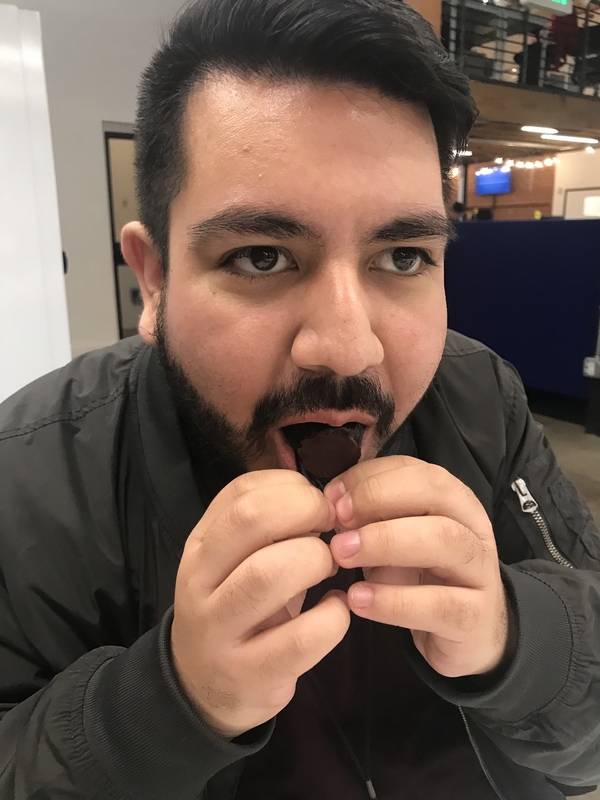 Pablo: This tastes OK to me. 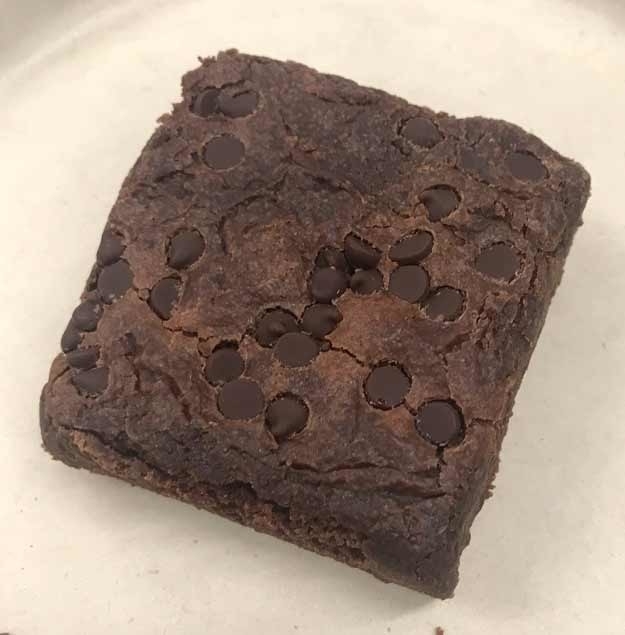 I like my brownies to be ooey, gooey, and rich, and this just felt a bit too dry for me. 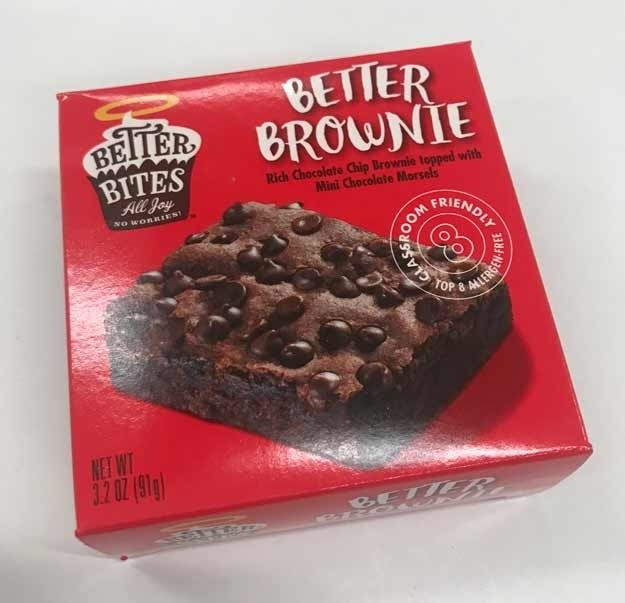 The taste isn’t bad by any means, but if I had to reach for a brownie, I would probably end up grabbing one with gluten, dairy, etc. 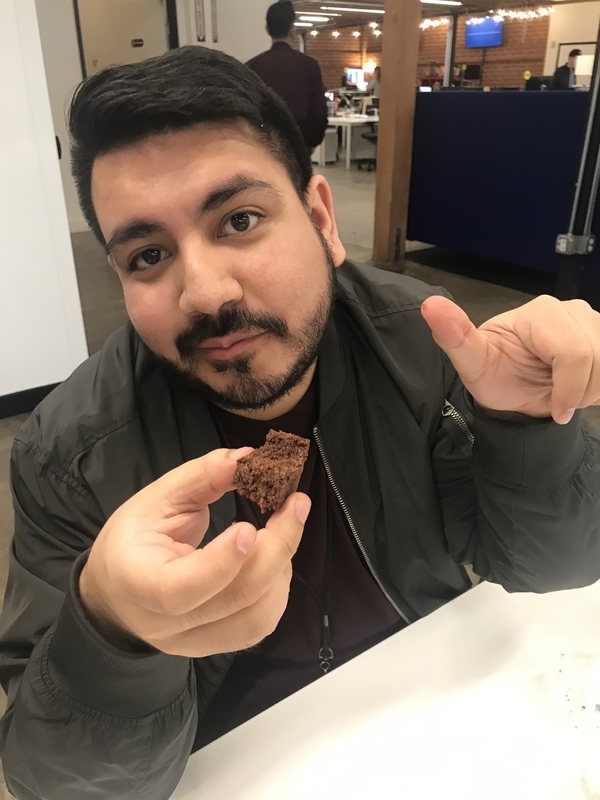 Lara: The brownie was very tasty, however it was a little dry and left my mouth wanting more. Would I eat it again? I mean, yeah, I like chocolate and sugar. But I’ve had better brownies for sure. 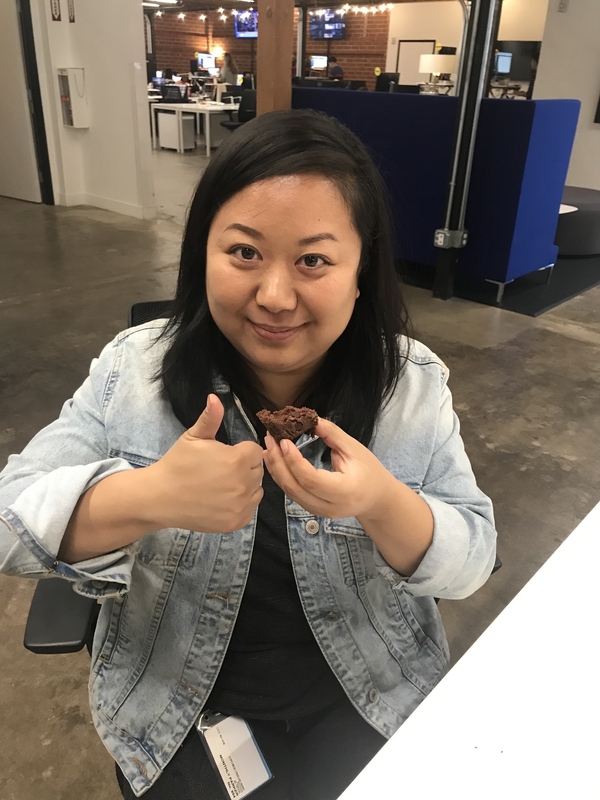 Crystal: Oof, I LOVE brownies. Now, in my experience, it’s hard to make an ~alternative~ brownie, but these aren’t bad! 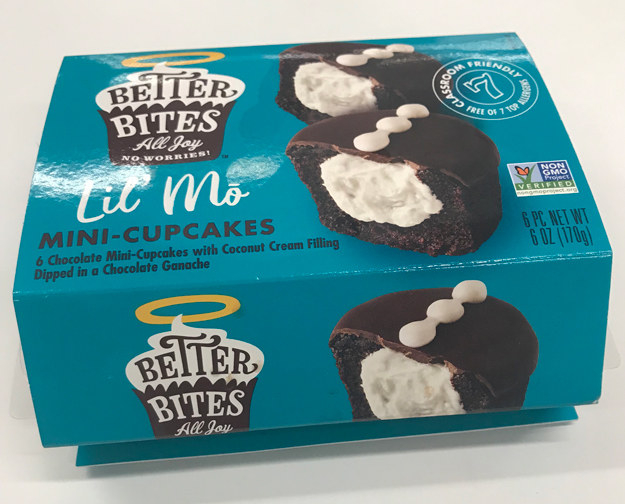 They’re not as satisfying as a “real” brownie, but if you can’t have dairy, eggs, gluten, etc. these are a VERY good alternative. 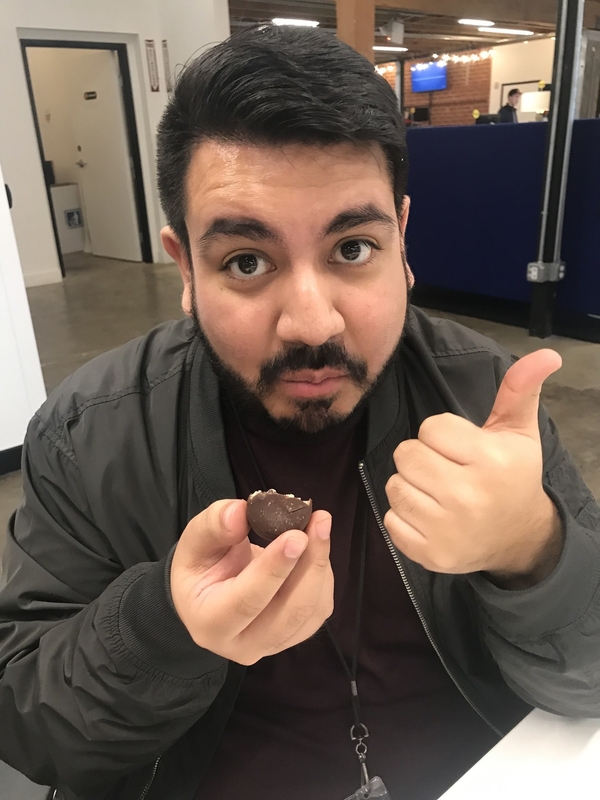 Pablo: I had the vanilla one, and I couldn’t get a whole lot of flavor out of it until I was two bites in. 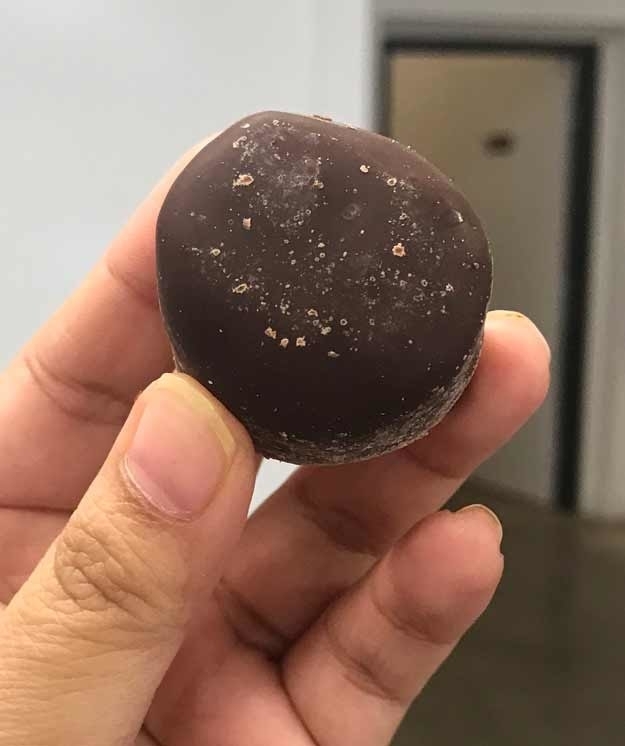 These aren’t nearly as rich as a regular cake ball, which some might consider a plus, but I know what I like in my balls, ya know? 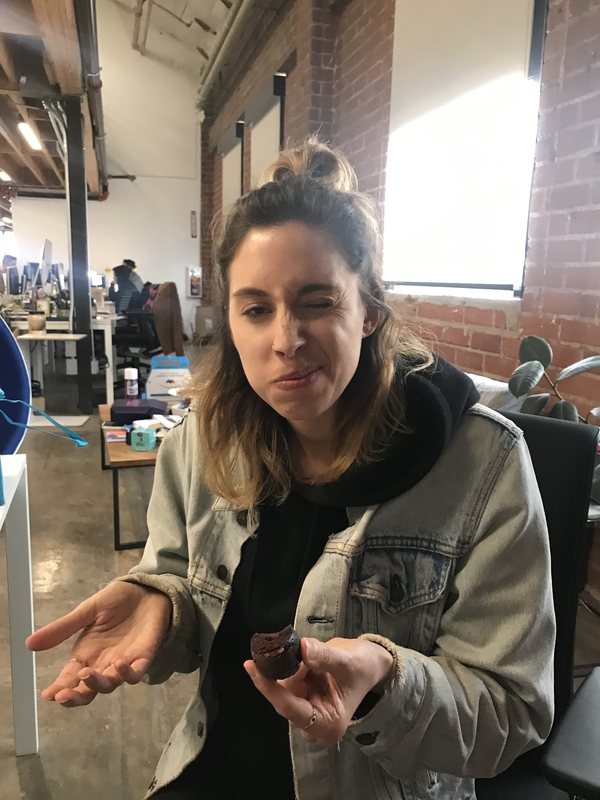 Lara: The cake ball was once again too sweet for me and I am ON MY PERIOD, people. I could only have a small bite. The small bite was good, don’t get me wrong, but I’m not sure I could handle much more than that. 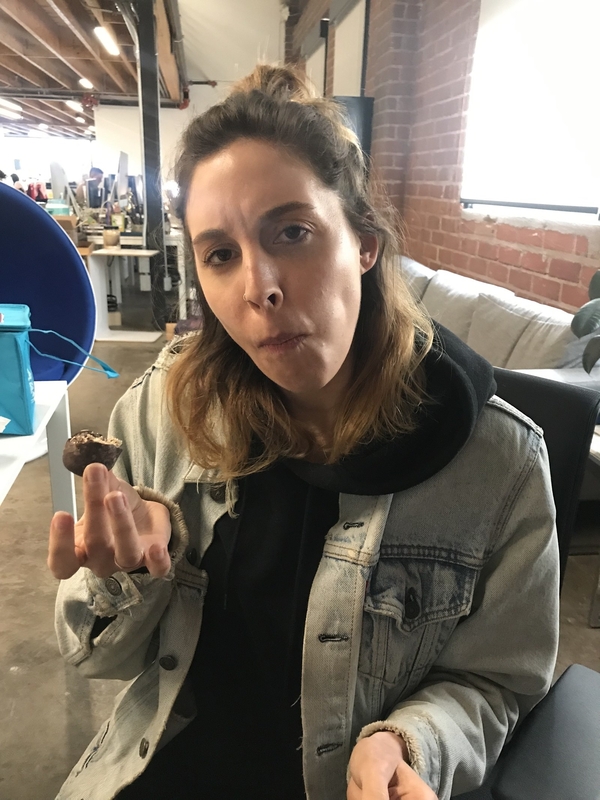 Crystal: I thought these were really cute, and love that they come in individual packaging — it makes them look like truffles or something. I tried the vanilla one which was fairly plain, but I liked that! Another good alternative for people with food allergies. 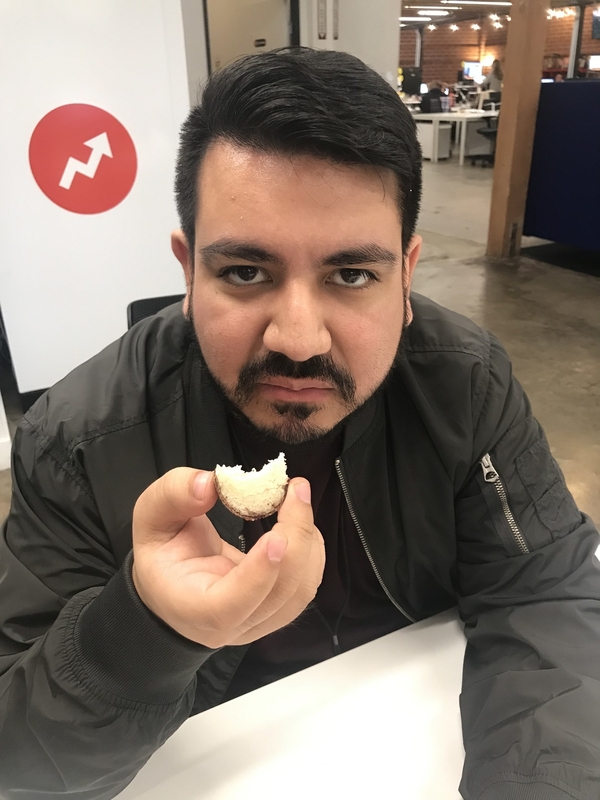 Pablo: I would absolutely eat any of these foods again, but have to give a second round of applause to those Do Bites. I’m just mostly surprised none of these tasted like wet cardboard, which I expect when ingredients get swapped. Guess I need to expand my palate! Lara: All in all I love this! I can’t eat gluten or soy without experiencing a pain flare due to chronic illnesses that I have and I love that these make it easy for me to still enjoy a sugar treat when I need one. Would definitely eat again. Crystal: I grew up with a severe allergy to cow’s milk and missed out on a lot of desserts and sweet treats as a kid. (I’ve since grown out of my allergies, FWIW.) If I had had these when I was little I would have been SO, SO HAPPY. So, I think for people with food allergies these are very impressive alternatives!